NPX BioPlastics are pelletized biodegradable polymers that provide a time-released source of food for bacteria that assimilate nitrate and phosphate. As bacteria develop on the pellet surfaces, excess growth sloughs off due to the tumbling in a fluidized filter, and these bacteria can be removed with a protein skimmer or serve as planktonic food for filter-feeding invertebrates such as corals, clams, and sponges. Anaerobic zones also develop within the pellets, thus promoting denitrification there. Why bother with dosing Vodka daily when you can just use NPX BioPlastics and let the bacteria work for you? 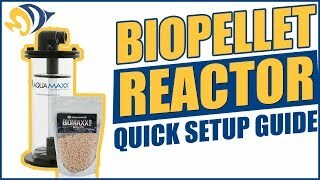 Directions: NPX Bioplastics are best installed in a fluidized filter like the PhosBan reactor 150 or 550, but they may simply be placed in a media bag in a filtration compartment. Use 100 ml Bioplastics per 100 L (approx 25 gallons). After 2-4 weeks, nitrate and phosphate levels will decrease. because NPX Bioplastics are slowly consumed, more pellets have to be added periodically. Observe the level of media within the filter and top off as necessary about every 3-6 months. For aquaria with heavy feeding, higher quantities can be used, but the accumulation of phosphate from the food may require the combined use of NPX Bioplastics and PhosBan granular ferric oxide media, in separate reactors. Caution: Maintain sufficient water flow through NPX Bioplastics to prevent production of hydrogen sulfide gas. Employ strong water circulation, aeration, and/or a surface skimming overflow in the aquarium to maintain high levels of oxygen saturation when using this product because of the strong influence it has on oxygen saturation. The use of NPX Bioplastics in marine aquariums must be accompanied by the use of a protein skimmer to achieve the export of bacteria and assimilated nutrients. It is not necessary for the outlet of the filter containing pellets to be positioned near the intake of a protein skimmer, but it is necessary to have a protein skimmer running on the system. 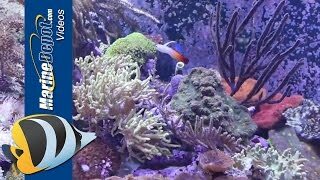 Two Little Fishies, Inc. was founded in 1991 to promote the reef aquarium hobby with its introductory video and books about reef aquariums. The company now publishes and distributes the most popular reef aquarium reference books and identification guides in English, German French and Italian, under the d.b.a. Ricordea Publishing. Works great in a reactor. lasts a long time. I use this in my biopellet reactor. It's easy to clean. I love this product, it's the only item I trust for nitrate control for my stingray and shark systems. npx bioplastics make my aqua c skimmer go crazy with foam.be carefull or you will end up with a big mess just as I did.